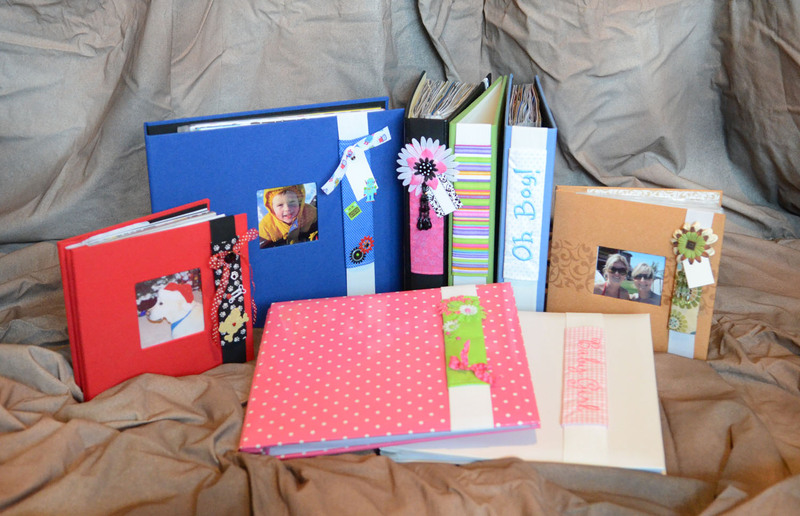 Scrapbands a scrapbooks best friend! We all love them and use the in our scrapbooking – dimensional embellishments! They are just too irresistible! I know they are beautiful, and I for one do not plan to change my scrapbook ways (I will always embellish my layouts with brads, buttons and foam tape!). There is a price for that beauty—what I like to call the Scrapbook “V” it is kind of like the muffin top of scrapbooking—most of us have them but wish we did not. Therefore, when I saw these very clever little gems I knew I was going to love them. 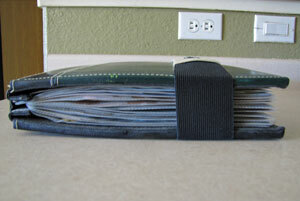 The ScrapBand is like the body smoother for scrapbooks. I mean what girl doesn’t want a smooth figure? Your scrapbooks are the same and the lovely people of ScrapBands are enabling us to embellish to our hearts desire. 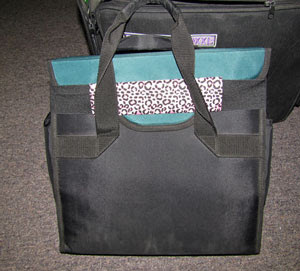 They are easy to use, flexible, sturdy great designs and VERY useful. I love that they are very cost effective as well. 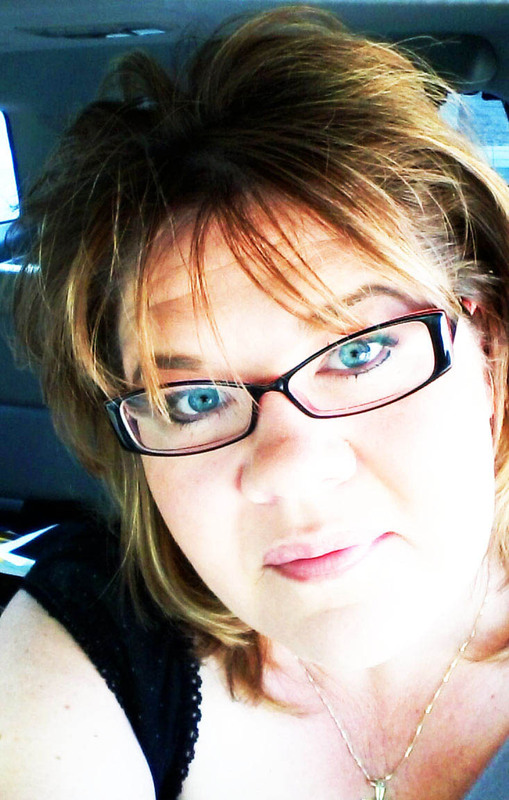 What I liked: I love that I am able to use this great product for more than just my scrapbooks. 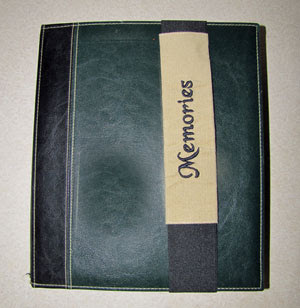 I also found for my paper taker which has gotten older and the Velcro does not hold as well as it once had, NOW I have a way to secure my paper in my paper taker. I love that they come in different fun prints and have great embroidered styles. When I have the ScrapBand on my paper taker, I know which one is mine! I love that I can embellish them to match my style. I like that the fabric wraps are removable and easy to clean. I also love the fact that it makes my albums sit nicely on the shelf, and that when they are sitting on the coffee table you see that it is indeed a scrapbook. What I disliked: I would like to see different sizes, as a seasoned scrapbooker I have several different sizes of albums; I think these would be great for my smaller albums as well! MSRP: ScrapBands retail for $7.99 to $12.99 depending on style. Share your thoughts, what do you think you could do with a ScrapBands? Leave a comment by midnight EST on Wednesday to be entered to win a prize pack from ScrapBands! U.S. Residents only. Also leave your email or blog address so that we can contact you if you win! Genius! Would love to win this. Thanks for the chance. I have not seen these - very cool! 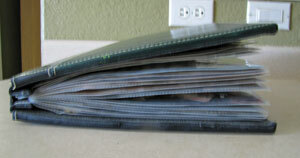 I have quite a few bulging scrapbooks that could use these! hmmm these are interesting...I have never seen them before. But I have a few albums that could use them! Never seen these...I sure could use them thou! These look like they could be great! Well - isn't that too clever! Yes - genius! Would love that. Have not seen it in stores yet though so would love to win that. Thanks for the chance. That's so funny - the "muffin top" of scrapbooks!!! ROFL! Would you believe I've never heard of these???!! If I had, I definitely would own one, I hate the muffin top books! My scrapping friend saw these at a convention and said they are awesome so I would love to win some for myself!